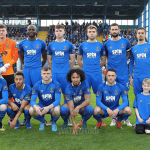 Waterford FC made it three wins in succession in the RSC as Alan Reynolds side advanced to the quarter-final of the EA SPORTS Cup after a 2-1 win over Galway United at the RSC. Dean Walsh scored his second in two game and had the Blues leading at the break before Jeff McGowan levelled before the hour mark. Cory Galvin scored the winning goal midway through the second half with an excellent strike from 25-yards. 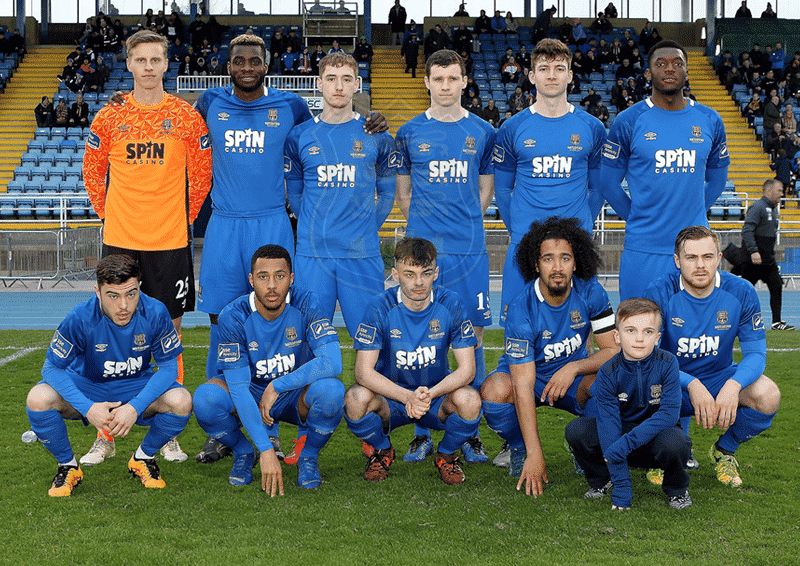 Alan Reynolds made nine changes from Friday’s win over Finn Harps, with just Rory Feely and Maxim Kouogun keeping their places, and the Blues started brightly. Dean Walsh headed Shane Griffin’s corner just wide before Cory Galvin was also just off target. Walsh then forced Galway United keeper Andreas Werner to save well and the strike let fly from outside the penalty area. For visitors Galway United, Jeff McGowan went close midway through the first half Hugo Keto made a good save. The Blues finally grabbed the lead on 32 minutes. Shane Griffin’s inviting free kick found the run of Dean Walsh and he fired the opener left footed beyond Werner. Cory Galvin had two chances in two minutes as half time approached but Werner was equal to both. Galway finished the half strongly and Dara Costelloe went close from the left but he could only find the side netting. Adam Rooney also went close from Colin Kelly’s curling corner but couldn’t direct it on target. Galway United made their pressure count with an equaliser just before the hour mark. 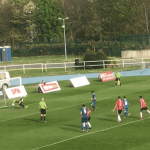 Rory Feely’s backpass to keeper Hugo Keto was left short and United’s Jeff McGowan nipped in to round keeper Keto and level the match. Cory Galvin fired wide on the hour mark before he put the Blues back in front on 66 minutes. Regix Madika and Bastien Hery linked up on the left before finding Galvin inside and the attacker fired into the bottom corner from 25-yards just beyond the hand of Werner to make it 2-1. Galway were almost level minutes later but Rory Feely came to the rescue when a scramble in the penalty area saw Matthew Barrett nip in to shoot but Feely got back on the line to clear. McGowan had a chance for Galway while Madika had a chance for Waterford, but neither could find the back of the net. Neither team could add to their goal tally as the minutes ran out and Alan Reynolds’ side progressed.